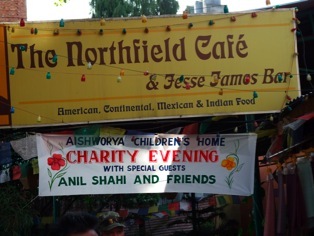 While Steph was volunteering with us she helped organise a fundraising event at the Northfield Café in Kathmandu. 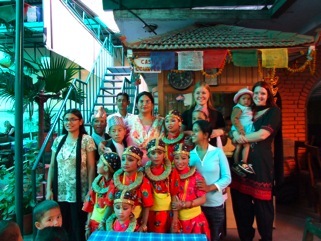 The children gave a performance alongside Nepali singer, Anil Shahi, who performed live with his band. The evening was a huge success! “Our volunteers did plenty of advertising in the form of posters and flyers, and we were extremely happy with the number of people who came out to support us. Family, friends and strangers all enjoyed the show together and donated generously. All the children and staff came down to the restaurant, where the children performed several songs and dances to an appreciative crowd of over 200 people. 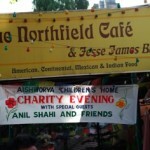 We are especially grateful to the Northfield Café, who not only hosted the event but also generously donated 20% of some of the day’s takings. In total the event raised 65,000 Rupees to go towards education.